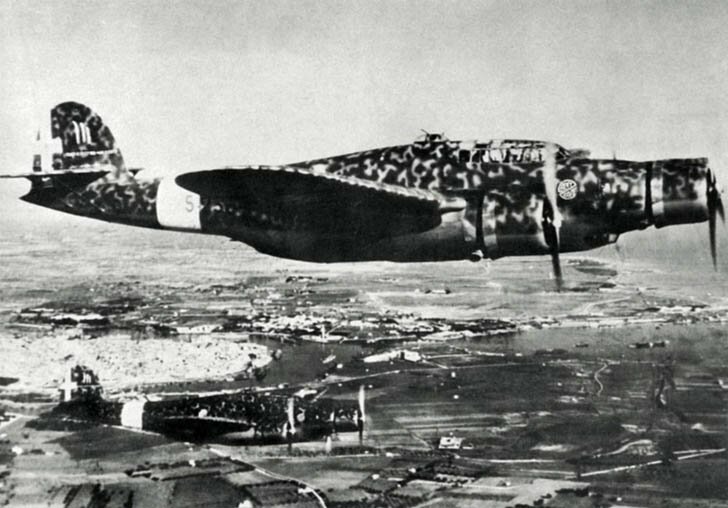 CANT Z.1007bis Alcione Italian bombers in flight over the Brindisi to Greece. Photo is dated March 3, 1941. The bombers belonged to 230 Squadron of the 95th group of 35 Flock. Z.1007 Alcione ( «Alcione» – “Kingfisher”) – Italian medium bomber wooden structure. CANT Z.1007 Alcione bombers flew until 1944, has not yet been written off due to severe deterioration. It was produced 594 aircraft of CANT Z.1007 Alcione Italian bombers.